While it is true that a pair of sneakers and a towel are pretty much all you need for a workout, there are a few fitness accessories that go unmentioned, but which are extremely important if you want to improve your exercise routine. Let’s have a look at the top 3 fitness accessories that you should always have in your gym bag. Although it’s convenient to buy water every time you go to the gym, it’s not very wallet-friendly. And if you’re concerned about nature, well we shouldn’t even be having this conversation. The good news is that there are reusable water bottles which you can buy without giving up half your monthly paycheck. And if you are worried about how safe it is to drink water in your area, fear not! We’ve got your covered. There are many brands that sell water bottles with filters. That way, you can safely drink tap water anywhere you are, and the filter will make sure it’s good for you and very clean within seconds. When working out at home you have the option of installing a Ukf8001 filter (or other compatible filter) on your refrigerator, that will provide you with pure drinking water at the push of a button. A lot of men have the misconception that wearing gloves in the gym will make them look weak, as if their fragile skin cannot handle the weight they are lifting. Now let’s get serious about them. Gloves are an amazing fitness accessory, not only because your skin, regardless of gender, can in fact break and bruise from lifting, and that’s not hot. You can rip the skin off your palms, which in turn means that you cannot lift as much as you used to until your palms heal, unless you’re a bit masochistic and you push through that pain. And another advantage is that you can actually have smoother skin on your palms with padded gloves. Think of it like this, what does your significant other prefer most? Back scratches or a gentle massage? The state of your palms could mean a world of difference, so think this through. Even if you’re not into lifting weights, and only run, for instance, you probably still think about consuming some sort of extra protein to make sure your muscles regenerate easily. Most of us choose protein shakes, and the easiest alternative is to mix it in a shaker bottle. Not only is this easier to clean that normal bottles (which you won’t even delay once you’ve forgotten a shaker over night without washing it), but they also come with a sort of strainer that can break up protein powder clumps. That way, you’ll make sure that every bit of protein can be consumes. And if that did not convince you, remember that it’s always advisable to drink your shake within 30 minutes of your workout. So having a shaker bottle that can be closed and sealed is really helpful as you can throw it in your gym bag and never worry about it spilling. Tell us, what are your favorite fitness accessories? 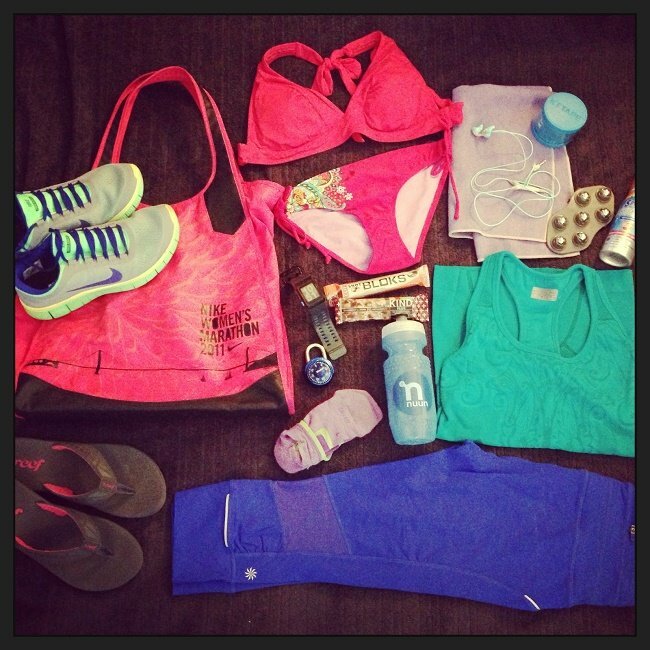 Let us know in a comment what’s never missing from your gym bag.